Gaming is an activity that few can resist. The make believes the world lures strongly and both the young as well as the not so young are addicted to the heroic deeds of the characters on screen. Yet the experience needs to be realistic and the gaming device is able to provide an awesome experience without breaking the concentration of the gamer who is fully intent on the game. 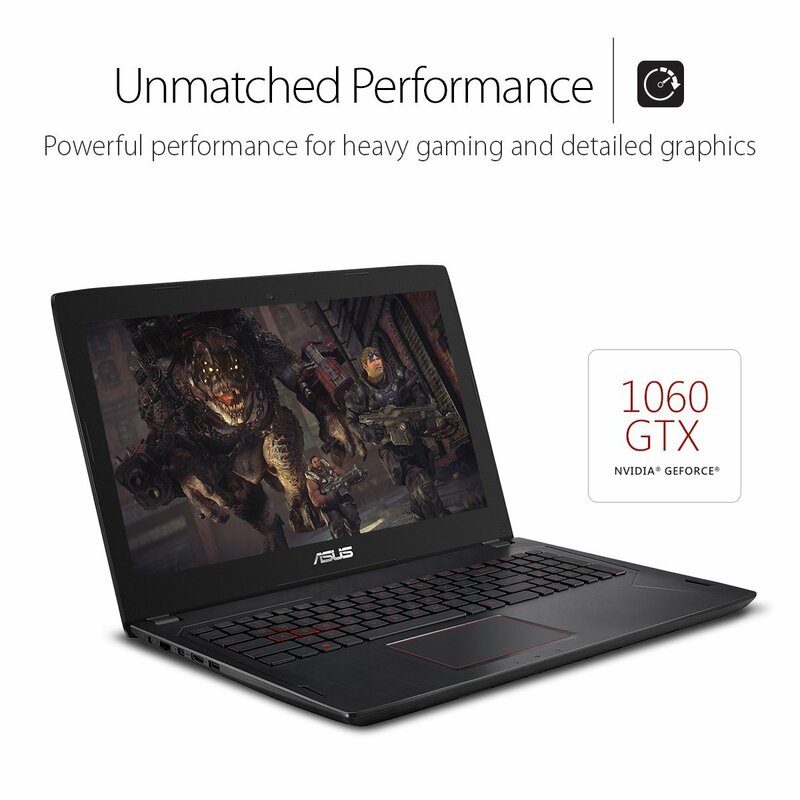 A superior laptop can help you to take your gaming to the next level always with its spectacular display, wonderful audio, and storage that will not cause interruptions when the game is just beginning to peak. Not all of us have the facility to dig deep into our coffers and come up with the fantabulous amounts that keep going up with every new gaming device on the market. No worries! There is a way out without having to burn a hole in your pocket too. Simply opt for the best gaming laptop under 1000. Yes, there are ones that do not compromise on quality either and the games come to you with exciting graphics, awesome audio and super smooth frame rates. Here are some great options. Do select the best and get gaming! Asus FX502VM with GTX 1060 – The flawless performance courtesy NVidia GTX 1060 enables you to get an amazing experience without having to invest extra on graphic cards. The modern games play well on this model and the ultra thin and light compact build is a big advantage that allows you to carry it along with you wherever you go in order to keep gaming. There is no SSD though and the hardware leaves much to desire. Gigabyte Sabre 15G-KB3 – A specialized gaming laptop that is certain to make you go Wow! The performance of its inherent, ‘Nvidia GeForce 1050 GPU’ is super excellent and its smooth operational keyboard is indeed a pleasure to use when gaming excitedly. Sadly the design is pretty much basic and the black color does nothing to relieve the monotony. The graphics card is not a high range one though but it is a good buy for playing non-demanding games on 60+ fps. Dell Inspiron i5577 – This is deemed to be the best value laptop when you are on a strict budget. With the great graphics card, a dominant processor plus $200 less than 1000, what more can you ask for? This is definitely the deal maker save for the less memory space that needs to be up at 256 GB. No worries, you can always add an external drive and keep yourself enthralled for hours playing your favorite games. Acer Vn7-592G – The sleek and attractive computer comes with the ‘soft touch technology’ that makes this model a delight to behold. It is enormously versatile as well as effective for all your future gaming needs. Its powerful processor and the DDR4 RAM takes care of the speed that makes the modern games play smoothly without any hitches. Sadly, the response time is considerably lower than the other models at the same price range and the computer can get too hot when you have a 3D or the latest high-tech game going on. Asus K501UW – A gaming device in the form of a laptop that looks elegant and provides a solid performance without any frills. Well, this is the one to buy if you agree to all the aforementioned points. It is priced conveniently within $1000 range too and will be able to help you achieve your gaming goals without any trouble. However, it is the 512GB SSD memory that makes it come on tops. The easy accessibility to the games that load incredibly fast makes gaming appealing indeed. The lack of an HDD is a hindrance for installing programs and storing files though as the capacity of the laptop is a bit less than its competitors. There is no right or wrong to adhere to when you opt to buy any of the laptops described above. $1000 will indeed go a long way in giving you the best gaming experience ever.